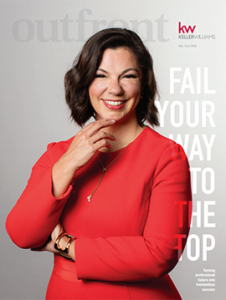 Outfront Magazine is a publication that showcasing Keller Williams Real Estate Agents success’ throughout the world. It is a leading-edge strategy to help real estate agents to be successful and for their market share to grow. If you are interested in starting a real estate career, check out Keller Williams Realty. It offers best real estate agent training, support, and it gives unique culture of sharing. For this edition of Keller Williams Outfront Magazine, you can read about what our real estate agents are doing today to achieve their career with real estate. Each issue of KW OutFront Magazine is distributed to all of Keller Williams Realty associates in the United States and Canada. To access the Outfront Magazine and if you want to be a part of our Real Estate Team, please click APPLY NOW. What can Keller Williams AI Kelle Do?